Casserole - how to make a casserole! A casserole is the easiest thing to cook! Just brown a chicken, put in a casserole dish with stock and loads of veg. I usually use chicken thighs and leave it in the oven on a low heat for about 3 hours. By then, the chicken is so tender, it is falling off the bone! 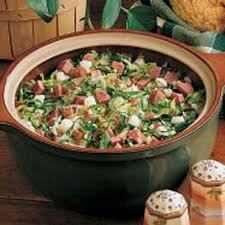 Casseroles typically contain cooked meats, poultry, fish, eggs, and vegetables. They're usually "bound" with some kind of sauce or soup, and often topped with crumbs and/or cheese. Select food(s) from each category or use your own favorites. Combine in a buttered 2- to 2 1/2- quart casserole dish. Cover and bake at 350 F for about 50 minutes to 1 hour or microwave using 50% power for about 15 to 30 minutes, rotating or stirring as necessary. Heat until steaming hot (165 F) throughout. Return casserole with topping(s), uncovered, to oven for about 10 minutes or to microwave for about 2 minutes.